In today’s digital world most businesses have realised the importance of having a strong online presence, and many have recognised how what they do online affects how customers perceive their business, and even how easy it is to find their business in the first place. So, when it is a well-documented fact that YouTube has now become the second biggest search engine in the world, it is perhaps surprising to see the limited amount of resources that companies invest in YouTube. Of course, there are thousands of companies out there that are doing a fantastic job, and in fact, there are many businesses that have been built around it. However, YouTube remains a huge source of untapped potential for most of us, and there is plenty that we can learn from those business who are already using it well. I was fortunate enough to visit the offices of Maker Studio’s in Los Angeles last September. Even if you don’t know the name, you will probably have seen some of Maker Studios’ work. They manage tens of thousands of YouTube channels, generating billions upon billions of video views per year. By definition, Maker Studios is now the media house with the most video views in the world across all media. Maker Studios’ biggest star is PewDiePie. With more than 32 million subscribers, PewDiePie is the most popular YouTube channel on the planet, and perhaps the craziest thing is that despite being one of the most popular people on the planet, most people over the age of 25 have absolutely no idea who he is. This illustrates how video and YouTube has the potential to really connect with a specific audience, and visiting Make Studios made me realise just how much more I should be doing with my own channel. Smart businesses are quickly recognising that video is becoming a crucial part of your communication mix, as in an increasingly impersonal digital world it can make your company more human. All the successful video channels have one thing in common: they are about people. The most successful channels feature videos with real people, and the more natural and human the people are in those videos are, the higher their score. 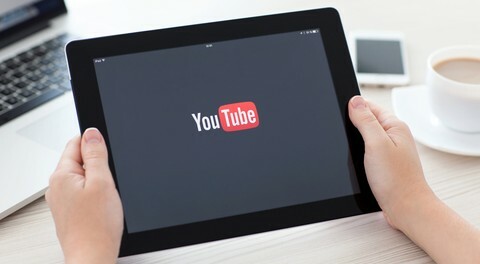 Many businesses will just simply upload their own commercials onto YouTube, but this is generally not a good strategy. Just uploading corporate videos is not enough to really succeed. YouTube is after all a social media channel rather than traditional broadcast, so you may need content specifically made for it. One great example of a very successful YouTube channel is that of McDonald’s. They have taken the “social” idea to create a playlist called ‘our food, your questions.’ In these videos, REAL McDonald’s employees answer consumer questions in a very human way. These videos with genuine everyday people actually generate many more views than McDonald’s commercial videos as consumers seem to warm to the real stories and the real people. My main piece of advice would be don’t wait too long. Video is becoming increasingly important every day, and businesses are getting better and better at it, so don’t wait until the boat has sailed you’re left behind. It doesn’t have to be a big budget production. Why not find people in your company who know about videos, and set them a challenge to shoot their own videos that are real. Don’t be afraid to share true stories about your company – it will provide a friendly human face for your company in an increasingly digital world. Will 2015 be the year of digital frustration?